guava jams, marmalades and pastes. Fresh, Tropical, Natural, Non-GMO Guava With No Preservatives. Many studies say the Guava fruit is the second healthiest fruit there is. They call it the superfruit. The Guava Gourmet Family is proud to introduce to you our collection of all-naturtal artisan guava preserves! We offer a delicious selection of handcrafted jam, marmalade and guava paste fresh from our family farms to your kitchen. We here at Guava Gourmet promise to always provide only the best, all natural products free of any artificial preservatives what so ever. an amazing combination of flavors. 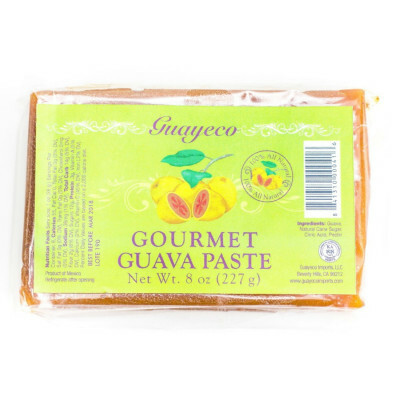 With this much goodness packed into a convenient bar, it's no surprise many regard our Gourmet Guava Paste as a perfect addition to cheese boards, desserts, and appetizers. Made from fresh guava fruit, our gourmet jam provides that sweet fruity flavor you're looking for when accompanying a variety of foods. 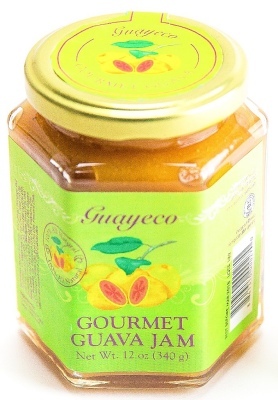 Guava jam makes a perfect ingredient to baked goods, mixed drinks, meat glaze and any other homemade sauce! 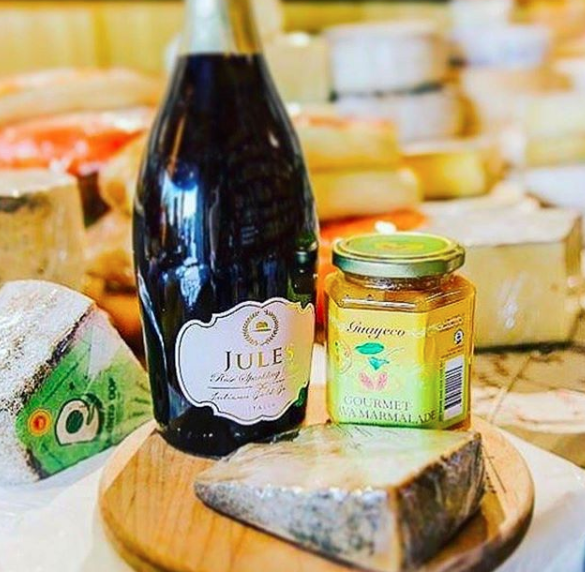 It's especially delicious when paired with pastries, cheese, caviar, and even sushi. With only the freshest preserves from our family farms, this all-natural marmalade will delight you with delicious tidbits of real guava fruit in every bite! 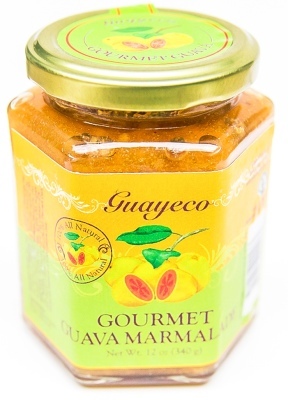 Guava marmalade makes a wonderful pairing to homemade dressings, mixed drinks or as a filling for baking desserts, pastries, or anything else your heart desires! The new healthy rage, fresh from our family to yours! Guava Gourmet™ is a family-run business that has been in operation for over 50 years! Our mission over the years has always been to provide only the best, 100% all-natural products. We will never add fillers, food coloring or preservatives to any of our products. Did you know Guava contains up to FIVE times the Vitamin-C content of an Orange? Packed with Vitamin E, Fibers, Protein and Minerals. "The consumption of guava can cause substantial reduction in blood pressure and blood lipids without decreasing HDL (good cholesterol)." Guava also makes a powerful supplement to your diet to decrease the risk of cancerous cells from developing. This is done by an antioxidant named Lycopene, which helps the body rid itself of free radicals, lessening the risk of developing cancer. Fresh, Tropical, Natural, Non-GMO With No Preservatives. Here at Guava Gourmet, we always follow strict quality standards during the production process. We only use non-GMO guava in all of our products. One look at any of our ingredient labels, and you'll understand how little we change this already delicious fruit!